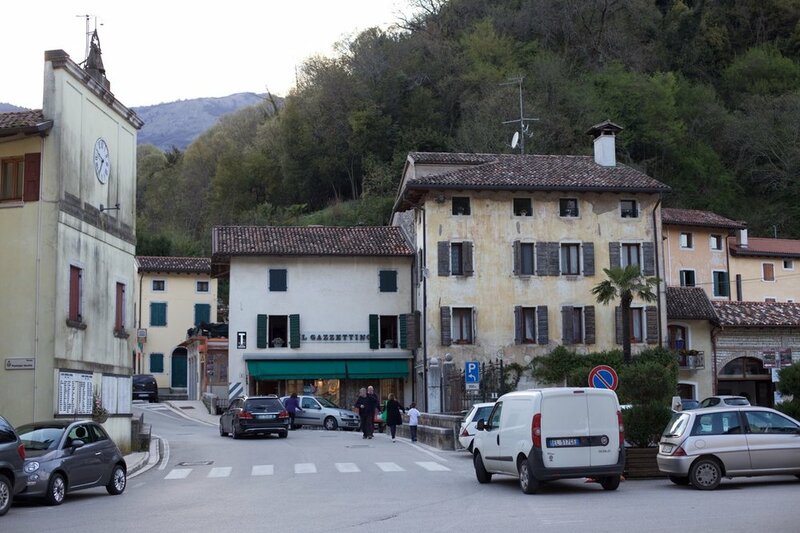 Federico ‘Fred’ Cremasco is a remarkable young producer of Vermouth, Bitter, Amaro and Gin from the town of Polcenigo, in Friuli. 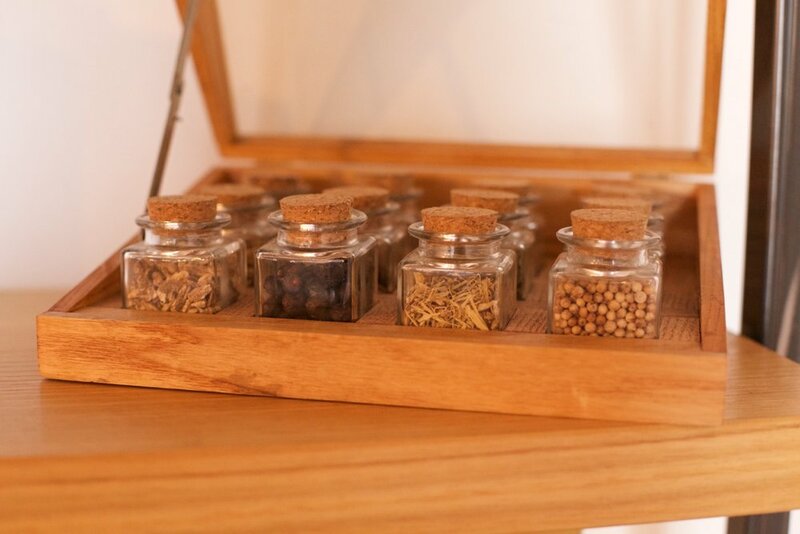 You could call him an herbalist; he devises recipes for his products from combinations of botanicals, some foraged wild nearby, some grown by him, some brought in from other areas, then creates his elixirs from these botanicals using varying methods of extraction. 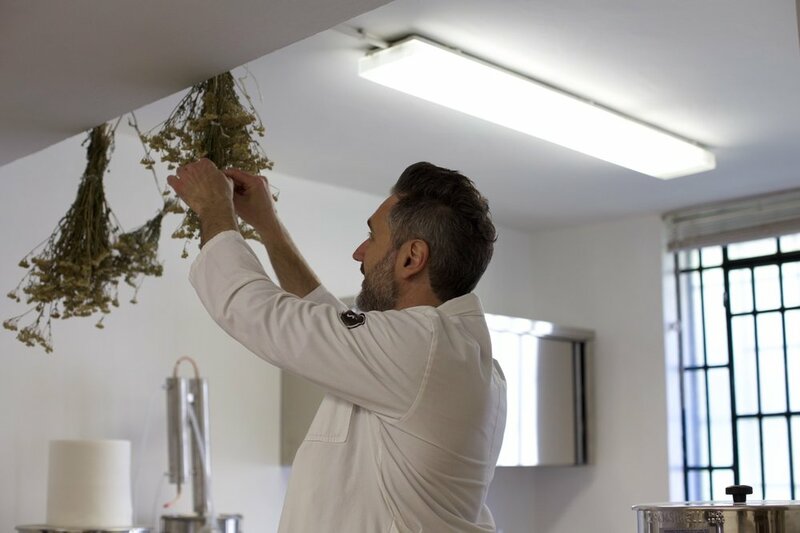 He has experimented endlessly, trying out different methods of extraction (alcoholic distillation, steam distillation, cold maceration of fresh herbs, cold maceration of dried herbs, and hot maceration of fresh and dried herbs) to discover which method best suits the individual botanical. He then devises recipes for his alcoholic elixirs from combinations of these botanical extractions. 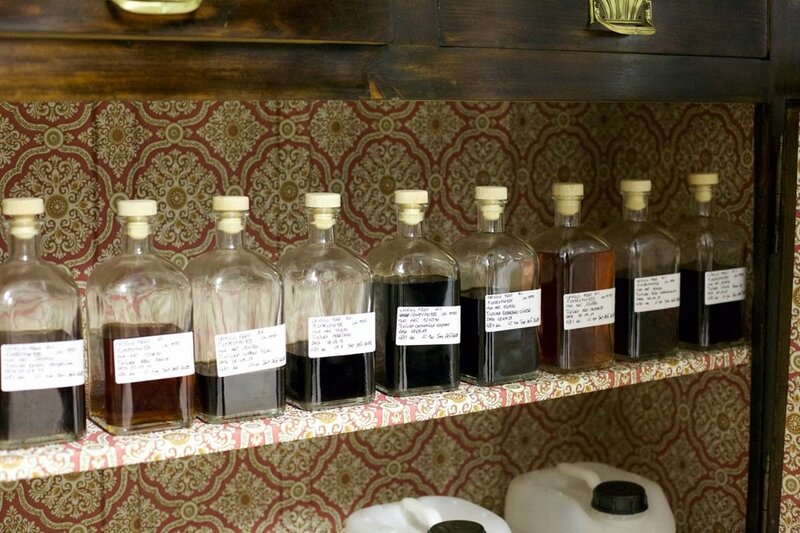 For most of the products, each botanical is treated individually, to make sure that the exact right level of extraction is reached for each substance; many producers throw everything in together (indeed many producers buy pre-made ‘amaro base’ from large companies who specialize in such things, just adding sugar and water). Fred takes enormous care in his work and the result is a collection of some of the highest quality spirits we’ve ever tasted with layers of flavor and a sense of place. Not that many years ago Italian Vermouth as a category was dominated by industrial-scale companies, and drinkers looking for lively, fresh, distinctive flavors went elsewhere. Not now. Fred Cremasco uses Verduzzo, a high-quality Friulian white wine, as his base and 25 different botanicals in this Vermouth (‘Vermut’ in Italian). As is traditional with sweet vermouth, caramel color is added (the color comes from the caramel normally, not from red wine). The vermouth was the first of Fred’s creations that I tasted, and I was knocked out by it. Vermouth was mostly an industrial product until recently, and tasted like it; maybe you’d use it in cocktails but no-one in their right mind would actually drink the stuff neat. This was entirely different; it was lively, distinctive, complex, and balanced - balanced in flavor combinations, and in bitterness versus sweetness. This vermouth can of course be used to make wonderful cocktails, but it is also an excellent aperitivo with just a splash of soda and an orange slice. What an end to the working day! PRODUCTION: The base wine is aged for a year in tank with some ullage, to maderise it slightly. Extraction is is by cold maceration of dried herbs, and hot maceration, in nearly pure alcohol. 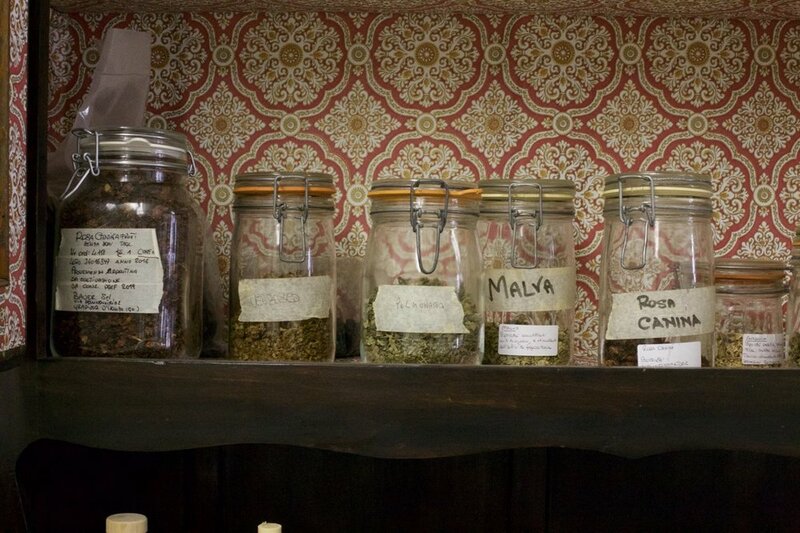 All botanicals are prepared individually. INGREDIENTS: 25 different botanicals, as prescribed in an old Italian recipe; including three different varieties of wormwood, two of orange, gentian root, cinchona bark and angelica. BOUQUET: a complex aroma of fresh botanical notes, particularly citrus (bitter orange) and herbs. Appetizing. FLAVOR: very complex, refined flavor of herbs and citrus with a beautifully balanced bitterness on the finish. Fred says ‘Thanks to a special processing of the herbs, the body has fruity notes that range from red fruits to black cherry; the bitter tones come from the maceration of herbs like gentian root and cinchona bark. Rounded and smooth in the end, thanks to the seeds and roots of angelica. Aftertaste: a persistent bitter note owing to the intensity of wormwood and masterwort, and particularly to juniper berries. 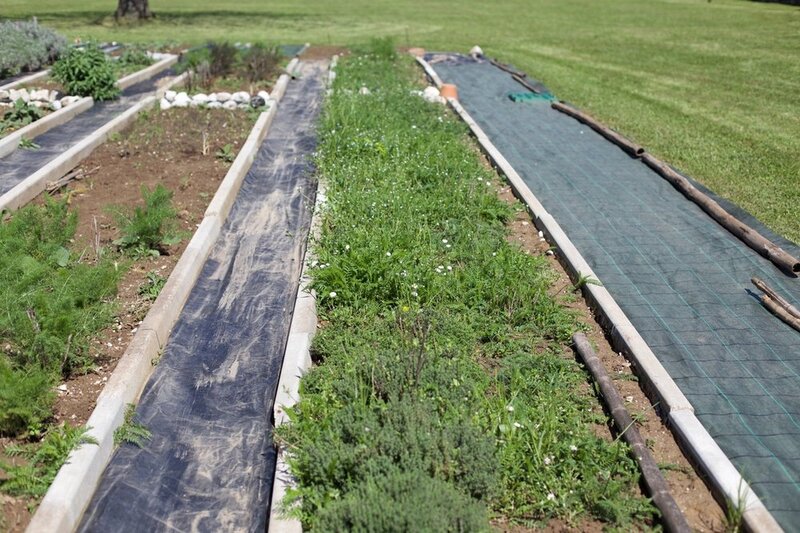 Note: This may throw a sediment, which is a sign of minimal processing and high quality. Production method: Five all natural extractions: Alcoholic distillation, steam distillation, cold maceration of dried herbs, cold maceration of fresh herbs, and hot maceration, all using nearly pure alcohol. INGREDIENTS: 43 botanicals, including juniper, angelica, lemon, orange, mandarin, thyme, lavender, mint, anise, fennel, mountain pine, Melissa, iris, masterwort, savory, clary sage, wormwood, yarrow, licorice, saffron, orange blossom, hyssop, marjoram. Outstanding in the classic cocktails; try a Jerbis Negroni with Fred’s vermouth, bitter, and gin. Or with good tonic water. Campari may be the most famous and classic Italian ‘bitter’, a spirit type mostly used to make aperitivi cocktails (before dinner drinks), but Fred’s Bitter 34 takes the category to an entirely new level. With no artificial flavors or colors, the drink is naturally and beautifully orange hued, appropriately citrusy and bitter and made with only half the sugar level of Campari and other large brands, one of the ways Fred achieves the balance we look for in our spirits. Concocted of 34 different botanicals using three methods of extraction: cold maceration of the dried plant, hot maceration, and steam distillation, all in nearly pure alcohol. INGREDIENTS: 34 different botanicals including gentian, angelica, wormwood, orange and lemon peel. COLOR: tending to orange, entirely from the natural color of the botanicals; no coloring added, unusually. AROMA: herbal and orange notes; complex, rounded and balanced. Flavor: delicately but persistently herbaceous; bitter, but balanced. The perception of alcohol is subtle, due to the use of a traditional recipe with a small amount of sugar. The body shows bitter notes from the maceration of botanicals like gentian root, and richness from the other botanicals that give complexity and persistence. The finish is soft and round thanks to the citrus. Use: Ideal in the traditional Italian cocktails mixed with the other Fred Jerbis products. 16 different botanicals infused together in nearly pure alcohol, following an old recipe from an order of monks. All the ingredients are Italian, among them are linden-leaf, ash leaf, mulberry, rhubarb root, currants, orange peel, and cypress leaf. COLOR: deep natural amber, from the infusion of the plants. No color added, unusually. FLAVOR: herbaceous, balanced, delicate, with intensity but also rounded and balanced, finishing with a pleasant bitterness. Notes of bark, buds, as in a forest when it’s just been raining; slightly citrussy on the finish. Bitter finish but rich, and very persistent. Note that the sugar ratio in this Amaro is 15%, about half of that found in many commercial examples. Use: the classic use is straight, after dinner, as a digestivo, but the Amaro is also perfect in craft cocktails such as the Hanky Panky.